FFMC – the Fédération Française des Motards en Colère (The French Federation of Angry Bikers) are getting hot under the collar, in fact they are getting very angry. The reason is that their government is planning to introduce a raft of legislation in the name of safety that will not only affect motorcyclists in France, but other French road users as wells as riders and drivers visiting France. 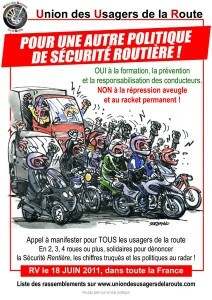 The reasons given by the French government is to reduce the number of road accidents. 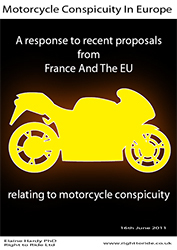 Motorcycle journalists and organisations in the UK have focused on the issue in the proposed legislation for the mandatory wearing of fluorescent (day-glo) jackets and reflective clothing involving motorcyclists and how (according to them) these proposed French regulations could spread across Europe. 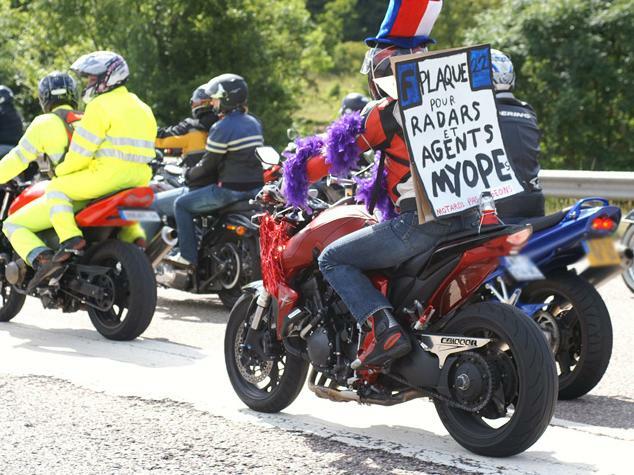 The Motorcycle Action group (MAG UK) have just launched a Facebook page ‘Say No To Day Glo’ supporting the French riders “who are lobbying vigorously against this intrusive proposal and will fiercely resist any moves to make high visibility clothing mandatory in this country.” MAG as sees this issue as open season on bikers, not just in France but in the UK. Within the French government’s plans are other issues, including the fitting of much larger than normal registration plates, additional training if a rider has an interruption from riding of five years or more and making filtering in congested traffic illegal. 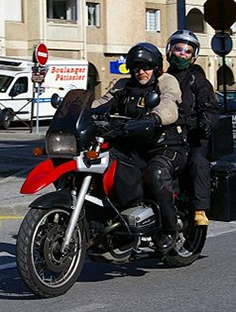 FFMC report that after many unsuccessful attempts to turn the situation around, including meeting with the Minister of the Interior, Claude Guéant, they have decided to cut all communication channels with the French government and have already organised protests in all cities and towns nationwide, for example 4,000 motorcyclists protested in Paris in May. They have used these protests to express their anger and disgust at their government’s inability to introduce effective measures to increase safety and motorcycle awareness among all road users. Riders in France also face the prospect of the possible prevention of access to eight French cities to two-wheelers produced before 2004. Announced by their Minister of Ecology, to preserve the quality of air in these cities, which would exceed the pollution limits decreed by the European Union. 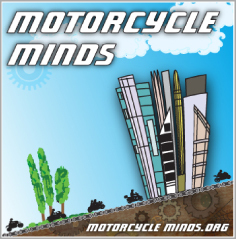 However these motorcycles not only meet the standard of Euro3 Emissions since 2003, but as we know, regardless of year of manufacture, motorcycles help alleviate the impact of emissions in congestion due to their ability not to be stuck in traffic. This association is calling government to demand the respect of drivers and citizens; a real road safety policy; refocus priorities and come to a constructive and intelligent long-term road safety solution. 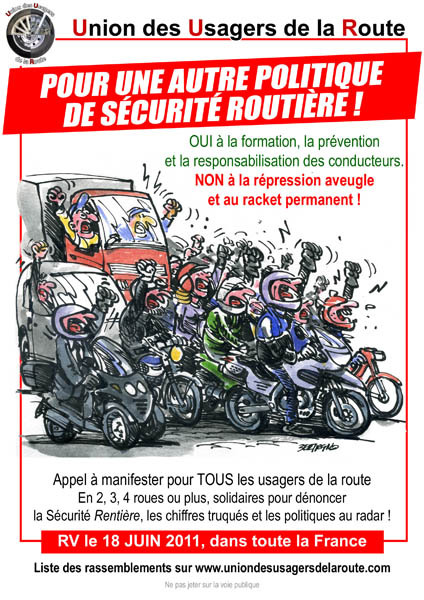 The Union des Usagers de la Route no longer supports the increasing criminalization of ordinary citizens and refuses to be treated as such and reject the constant threat of disproportionate penalties. Their representatives state that they do not want to be treated like children when all road users are punished for the irresponsible actions of a few and consider that the government has failed to take into account the real causes of road accidents. Could these regulations from France reach our shores and cross our borders? The French government could pressure the European Union for the introduction of mandatory Hi-Viz. The European Commission as proposers of European regulations/legislation could propose mandatory Hi-Viz across Europe Member States. Closer to home and only a European Border away, we responded to a consultation in 2009 by Irelands Road Safety Authority (RSA) – Click Here The consultation contained a proposal to introduce regulations for the mandatory wearing of sleeved high visibility upper body clothing for rider and pillion passenger. So all things are possible this is why we must be vigilant not just at home and while presenting seasoned and rational arguments combined where necessary with action, which is why we support the general action and arguments of riders and their organisations in France. So if you happen to be heading to France this weekend and see a few thousand bikes riding down the road you may wish to join in.